Living with misaligned teeth not only stops you from speaking and smiling confidently but also increases the risk of many oral health issues such as cavities, gum diseases, bad breath etc. Teeth braces put gentle and constant pressure which over a duration of time shift the teeth into their ideal position. 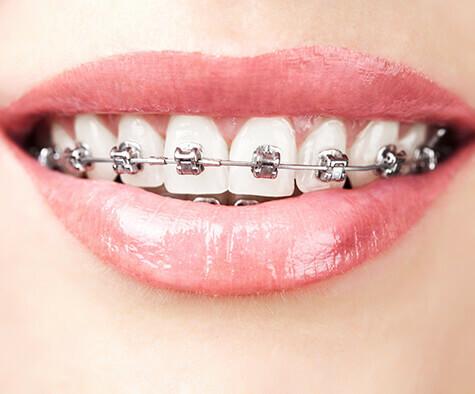 We at Putnam Orthodontics in Carmel and Briarcliff, NY have extensive experience with different types of braces such as conventional braces or metal braces, clear or ceramic braces and Damon braces for children, teens and adults. 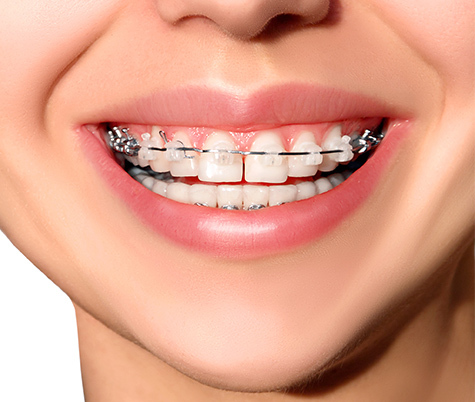 Clear or ceramic braces have a similar structure as that of the metal braces – comprising of wires and brackets. However, a huge difference is their aesthetic factor. The brackets in ceramic braces are made from clear ceramic material which can be customized to match the shade of your teeth, thus making them nearly invisible. Even the wires can be made as per the shade of your tooth enamel. Due to their greater aesthetic appeal as compared to the traditional braces, ceramic braces seem to be gaining popularity. Damon braces are also one of the most contemporary and popular options for achieving straight teeth, enhanced smile and improved oral health. The Damon system comprises a slide mechanism which connects wires to brackets so that they can move naturally along with your teeth as they shift to their ideal position. Since there are no steel or elastic ties involved in Damon brackets, you can expect faster results in a more comfortable and convenient way with Damon braces. Conventional or metal braces are one of the fastest and least expensive ways to achieve straight teeth. The older versions of these braces were uncomfortable and felt more intrusive as they were bulky in size. 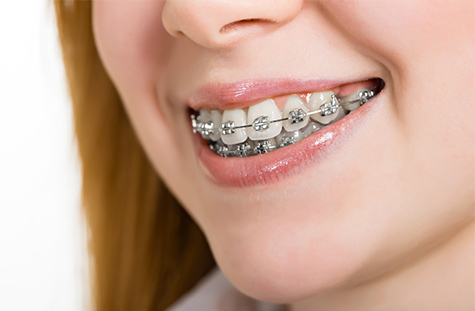 However, today you can get metal braces which are less noticeable and a lot smaller in size. The wires used also contribute towards faster movement of teeth while reducing your discomfort. Braces are comparatively less expensive as compared to other orthodontic treatments. We at Putnam Orthodontics in Carmel and Briarcliff Manor, NY offer our patients high-quality yet affordable teeth braces and aligners options. The cost of your braces or aligners depends on your requirements. To ensure that expense doesn’t become a hurdle in your way to a perfect smile and improved oral health, we offer diverse, flexible and easy payment options. Why Should You Consider Getting Braces? Teeth straightening greatly enhances your smile. A great smile boosts your self-esteem as you can smile and speak confidently in public. Misaligned teeth are difficult to clean as opposed to straight teeth and hence increase the risk of oral health issues such as bad breath, cavities and gum diseases. Hence, straight teeth make oral hygiene easy which in turn positively impacts your oral health. Correctly aligned teeth are important for a normal bite because a ‘bad or incorrect bite’ can lead to more serious problems such as TMJ disorder. If ignored it may require extensive oral surgery. Braces correct your bite and reduce your risk of related serious oral health issues. Straight teeth are at a lower risk of getting any injuries as compared to protruding upper teeth which are more likely to get traumatized or damaged in an accident. Get your teeth straightened for an improved smile and better oral health, today. Putnam orthodontics offers serval affordable options in braces with absolutely no compromise on quality. Visit our dental clinic in Carmel or Briarcliff, NY.